Buy Our NEW Cookbook . . .
Hello Balsamic Vinegar & Olive Oil fans! 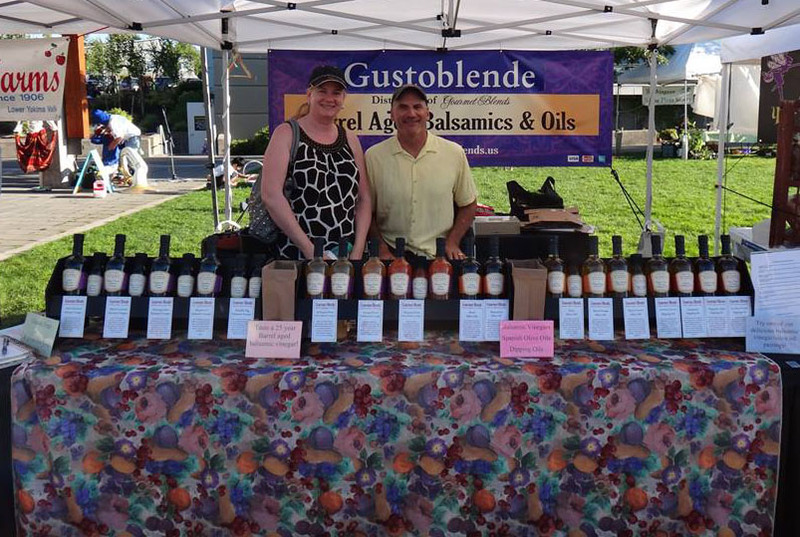 It's been a thrilling five years since we started selling Gourmet Blend's amazing Balsamic Vinegars and Olive Oils in Washington, Oregon, & Idaho. A big "THANKS" to all of our wonderful customers and friends who have been enjoying the best Balsamic Vinegars and Olive Oils ever made! We are very proud to be involved in the creation and marketing of this world class gourmet food product. A big part of our mission is to educate everybody on the real story behind the Balsamic Vinegar industry and to encourage everyone to only use REAL Balsamic Vinegar instead of the flavored wine vinegar that makes up 99% of what is bottled out there - read the ingredients! We want everyone to use products like ours and our competitors who import the "Real deal" from Italy. Be sure to keep an eye on the events we list here so you can come visit us in person, taste all you want, save on a little shipping. Of course you can order right here online and we will get it out to you asap. Enjoy VIP invites, tips, offers & more.